The TEK Car Top Antenna lets you reliably track your dog from your vehicle. 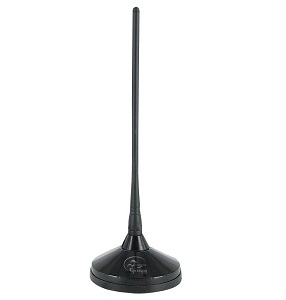 By moving the antenna higher and outside the car, the TEK Car Top Antenna provides the best range and most accurate readings possible for your TEK Series system while you are in, on, or around your vehicle. Simply place the antenna firmly on a dry, clean spot on top of your car. Thread the antenna cord through the window or open door of the vehicle.